Don’t Just Be Aware Of Breast Cancer! Most people know that October is “Breast Cancer Awareness Month.” While most are “aware of breast cancer”, many forget to take the steps to have a plan to detect the disease in its early stages. Breast cancer is the most common cancer among women in the United States (other than skin cancer). Millions of women are surviving the disease thanks in part to early detection and improvements in treatment. As you may remember, I recently started a new job at the Hospital. I’m working in an Out Patient Infusion Center. We give a lot of different medications, and a lot of chemotherapy. In just the few weeks that I have been working, I have seen so many cases of advanced cancer. The earlier the cancer is found, the better the prognosis! If you think that you can’t afford to get tests done, in the USA, coverage of mammograms for breast cancer screening is mandated by the Affordable Care Act. The ACA provides that these be given without a co-pay or deductible. (Obama care is good for somethings) Don’t put off screening because of fear of the possible outcome. 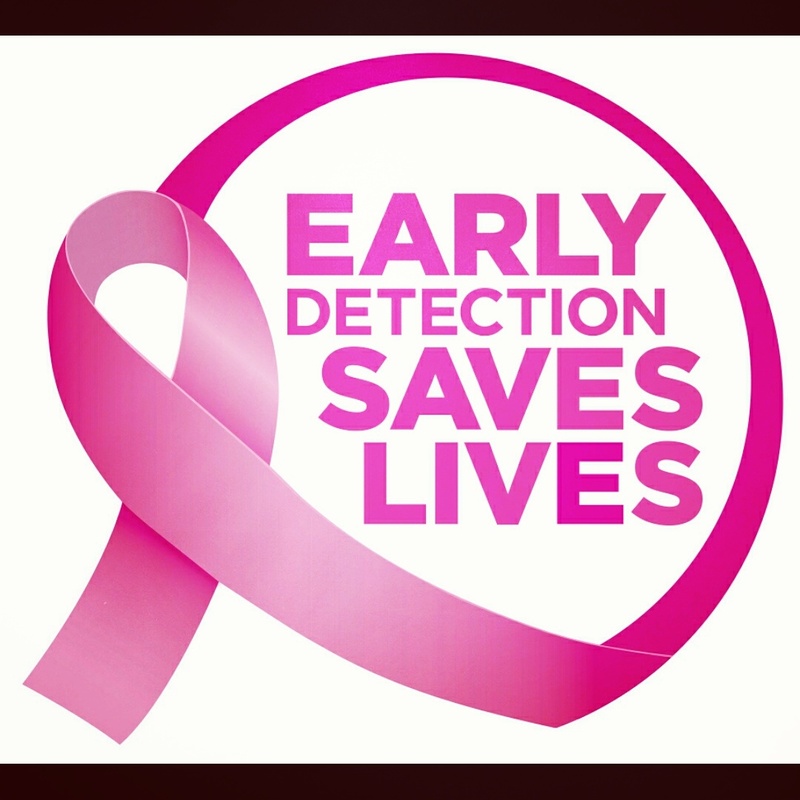 I can’t stress to you enough that early detection saves lives!!!! Yes! Self examination is also very important, good point!